Chernihiv is largely covered by forests and forest steppes. It is steeped in history and features many architectural wonders. The oblast’s capital is Chernihiv City, whose famous landmarks include the 5-domed Cathedral of the Transfiguration of Our Saviour, reputedly the oldest in Ukraine, and a host of other churches, cathedrals and monasteries. Chernihiv’s economy is centred on petroleum and natural gas extraction, transport, machinery, tobacco and textiles. The city of Pryluky is host to a major tobacco factory, while the cities of Bakhmach and Nizhyn are the important railway junctions on the route from Russia and Belarus to South-Eastern Europe. Chernihiv produces Chernihivske beer. 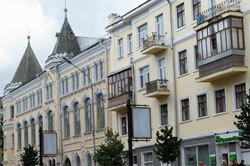 The historic city of Chernihiv is the administrative centre of the oblast of Chernihiv. Its architecture chronicles the Kievan Rus and Cossack Hetmanate periods, with its well-preserved ancient churches and several Byzantine cathedrals and monasteries. Chernihiv is how Ukraine once looked before the wars and the industrial revolution took over. Chernihiv City was believed to have flourished under its own rule during the 10th century. It then became the largest Kievan principality in the 11th century, where it became very powerful, rich, and highly respected. It was destroyed twice, but was remarkably able to maintain its religious importance. Famous sites here are the Eletsky Monastery with its six-pillar cathedral and the five-domed Saviour Cathedral, which is the oldest church in Ukraine. There are also mansions dating back to the 16th and 17th centuries in Chernihiv.